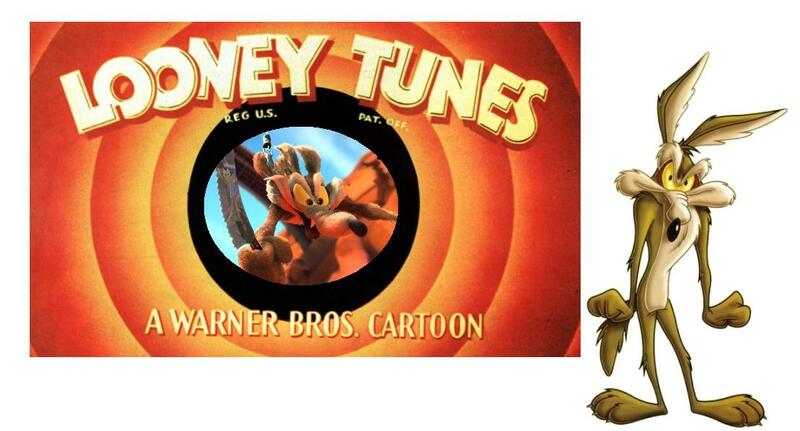 At the time of writing, Wile E Coyote has been trying to catch the Roadrunner for 62 years. You'd think he'd have given up by now but, of course he can't - the longer it takes, the more obsessive he becomes, a canine Ahab with a massive debt to the Acme company. He's tried every trick in the book: nets, spring traps, heavy weights, explosives, etc. Now he's trying CGI. While not a success, the result is certainly better than it might have been. In combination with his new, carefully rendered CGI visuals (which retain much of the character of the originals), Wile is also using bungee cord. The idea is that he'll drop from a bridge and scoop up the Roadrunner as it stops beneath him to eat some birdseed. Obvious dangers aside, it ought to be a foolproof plan but, of course, Wile never has that kind of luck. The trick to a successful Looney Tunes cartoon is repetition, taken to extremes - the apparently simple made ludicrous. Coyote Falls understands this and makes a good play of it. Small children will be entertained while adults will experience that characteristic mix of infantile delight and schadenfreude. But ultimately this doesn't pack as much of a punch as it should - it seems too formulaic, not quite loony enough. It's fun, but not especially memorable.